Betty moved to Ottawa in 1974 with her military husband and family from Nova Scotia. A true Nova Scotian – open, honest and friendly – Betty brings these values to the Ottawa market with tremendous success. Through unique marketing programs, hard work and her positive winning attitude, Betty has risen to the top of her profession. 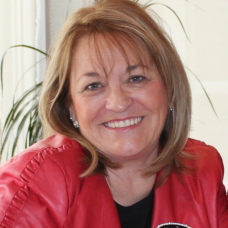 Betty’s top performance has been recognized in a number of awards, RE/MAX Chairman’s Club and Lifetime Achievement year Nepean Chamber of Commerce 2009 Nominee Business Woman of the Year. As an Accredited Buyer Representative (ABR), a Relocation Specialist and a Senior Real Estate Specialist® (SRES), Betty has the proven experience and recognition to help you attain your real estate goal. It will be a fun and happy experience and you will want to recommend Betty to your friends and family.